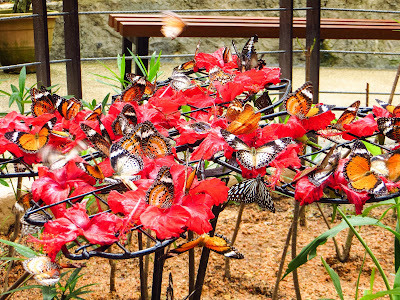 Entopia, formerly the Penang Butterfly Farm, is an interesting and educational attraction. Located at the northern end of Penang Island, near the small township of Teluk Bahang, Entopia can be reached by bus from Georgetown for a few ringgit, if you do not have access to a hire car. Local tours can also be arranged, but ensure that these allow you sufficient time to explore this fascinating establishment. Tickets to the complex are expensive by Malaysian standards, but, upon entry, one can see that the fee is merited: the complex was newly renovated in May 2016 and is very, very impressive. One follows a beautiful trail of water features and tropical flowering shrubs from many parts of the world to see the multitude of fluttering colour attracted to these feeder plants. The trail is well-signposted with guides to both the flowering plants and local butterflies. 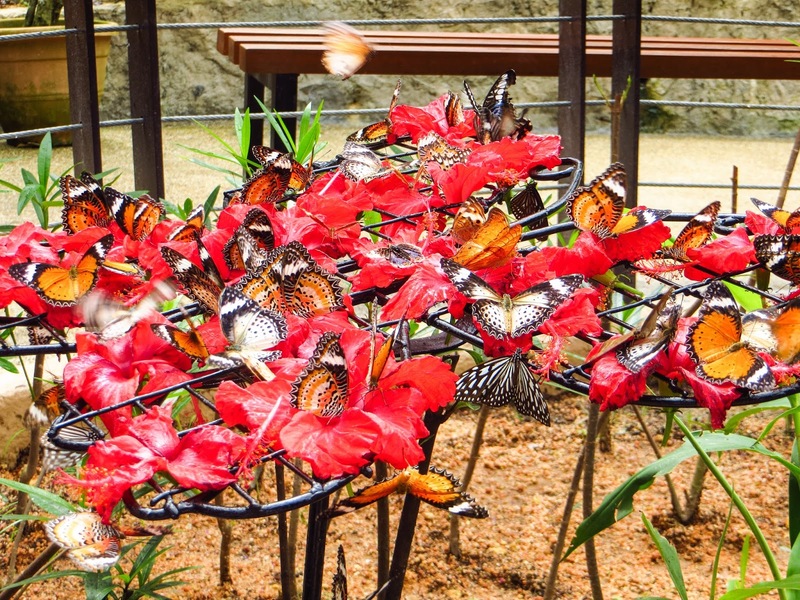 In addition to the comprehensive display of Southeast Asian butterflies, Entopia also has some enclosures of frogs and reptiles and a display of Malaysian dragonflies and other bugs, even a bird or two. Furthermore, there are educational activities and displays suitable for children... and for the young-at-heart. For those who will drive to the complex there is ample parking… and perhaps, the seller of delicious red rambutan will be waiting for you, adjacent to the front gate.